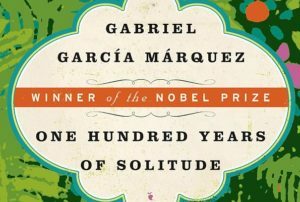 Streaming giant Netflix has acquired the rights to adapt Gabriel Garcia Marquez’s 1967 seminal work, One Hundred Years of Solitude. This will be the first time in history the novel will be adapted to the screen. The Nobel Prize-winning author previously had had doubts about fitting the complex novel into the restrictive structure of film and he wanted it to be adapted in Spanish. According to a report by The Guardian, the book will be adapted into a Spanish-language series and filmed largely in the Nobel prize-winning author’s home country of Colombia, with García Márquez’s sons, Rodrigo García and Gonzalo García Barcha, serving as executive producers. “We are incredibly honored to be entrusted with the first filmed adaptation of One Hundred Years of Solitude, a timeless and iconic story from Latin America that we are thrilled to share with the world. Other recently successful Spanish-language projects on Netflix include the Oscar-winning film, Roma, and the drama series, Narcos. This will be the latest in adaptations of Garcia Marquez’s works which include the 2007 film Love in the Time of Cholera and Chronicle of a Death Foretold which was made into a film and a Broadway musical. Watch this space for more updates on One Hundred Years of Solitude.